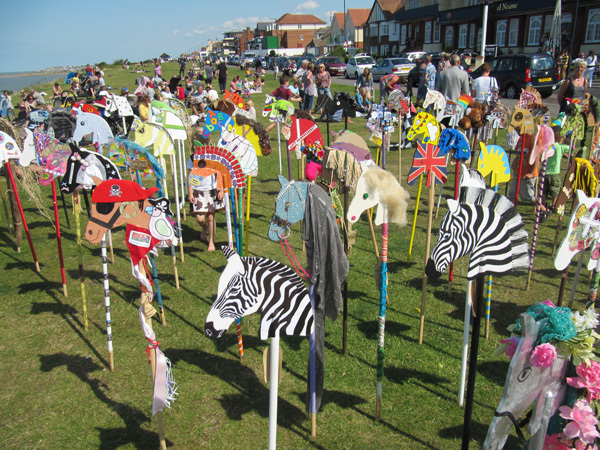 The Farningham Hobby Horse Project was a response to an ancient horse fair once held in the centre of the Kentish village of Farningham. 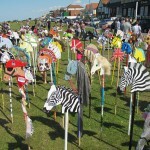 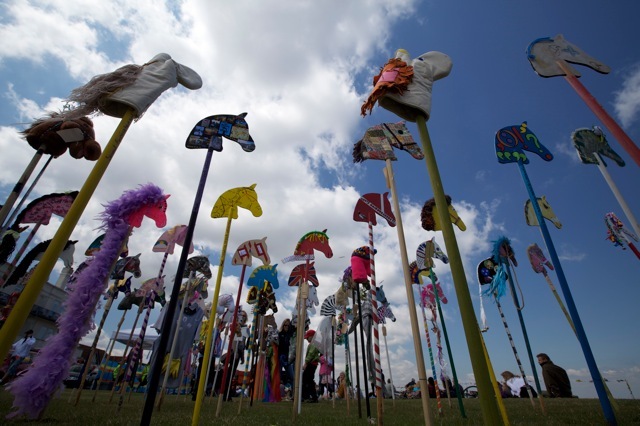 Villagers and businesses were invited to collect a wooden pro-forma hobby horse and return it in a form that represented them or their work. 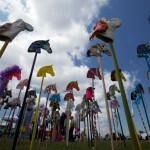 Responders ranged in age from 9-90 years old and the resultant installation of 150 horses replicated the village as it traveled.